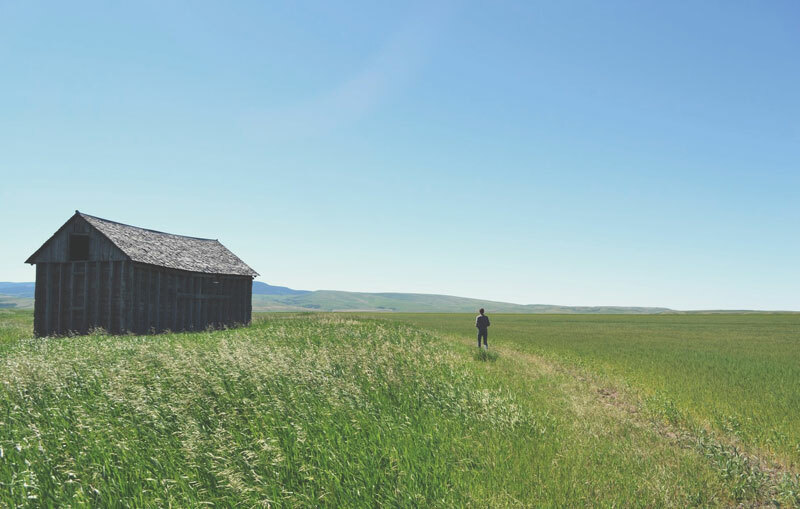 Sustainability Intelligence means, in short, that DFGE generally uses data that is already available, to ensure a continuous improvement process and to be able to focus on the relevant things. The aim of our support is to bundle the effort of taking part in several sustainability standards and rankings like CDP, UNGC, EcoVadis or GRI; this way, work has to be done only once and you can focus on the substantial, meaning on your sustainability management. Sustainability management is important for every company, regardless of its size, sector or location. Each company should try to tackle its social, ethical and environmental impacts. DFGE can support you at every step of your way to CSR management and reporting. Our services include data collection, calculation, review and reporting. The chart at the right side shows our business activities in detail. Set up a strategy with targets (link to EcoVadis CSR improvement strategy) by prioritizing important issues (link to materiality matrix from GRI page). CSR concerns many departments of a company: production, PR, HR, procurement – we know from our experience that it can be difficult to collect required information from so many places, to avoid overlaps and to always have accurate and correct information available when stakeholders ask for it. 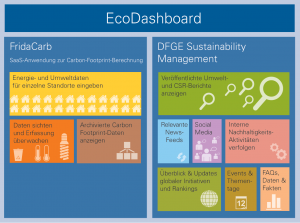 In order to facilitate this process, we developed the EcoDashboard: A tool which helps in documenting, administrating and using your CSR activities in a better way. 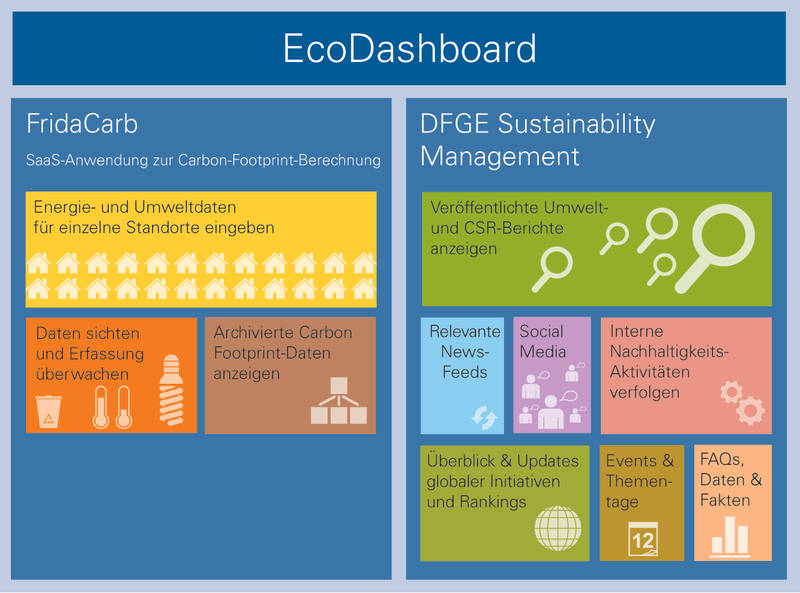 Being a SaaS platform, the EcoDashboard can be managed and used by all CSR employees worldwide. It leads to greater transparence and thus to a better CSR documentation. And more, according to your needs.